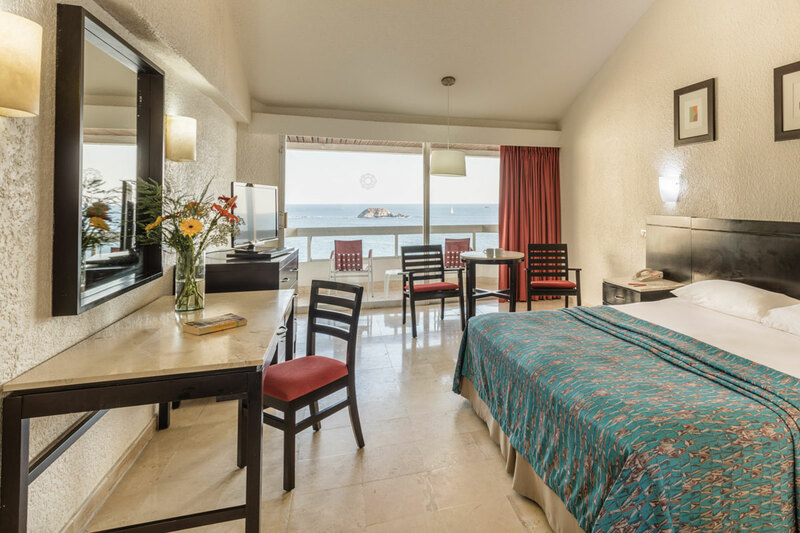 From the balconies at Krystal Ixtapa Hotel Rooms you can see spectacular sunsets, the design of its rooms will give great space and comfort... 255 rooms in the Krystal Ixtapa Hoteloffer the widest variety of accommodation for couples, families and honeymooners. 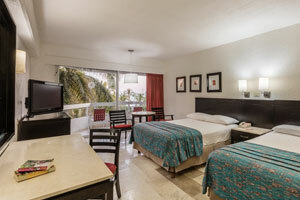 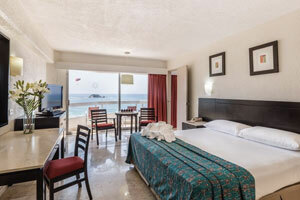 Its exceptional location, on the beach, becomes a small oasis of relaxation and comfort tailored to each guest. 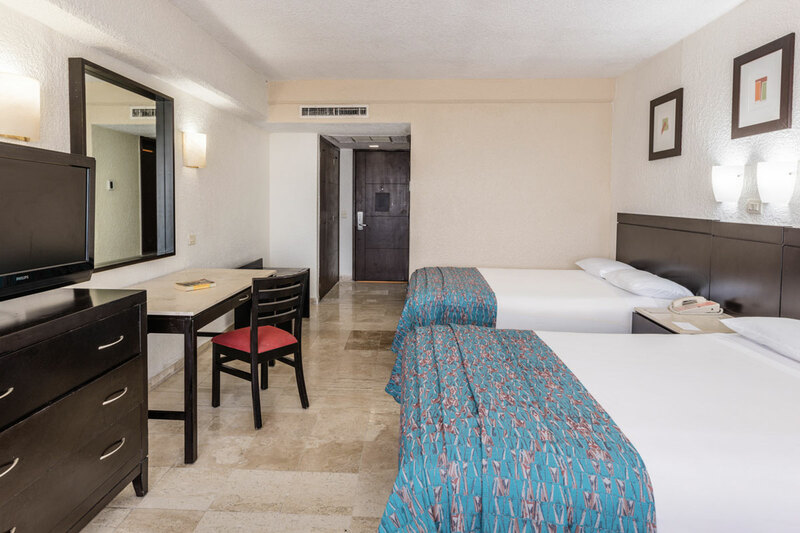 Relaxing, spacious and perfect for couples with children, the Standard Garden View or Pool View Rooms of Krystal Ixtapa Hotel add up between 38 and 44 m² equipped with King bed or 2 full beds,and a terrace. 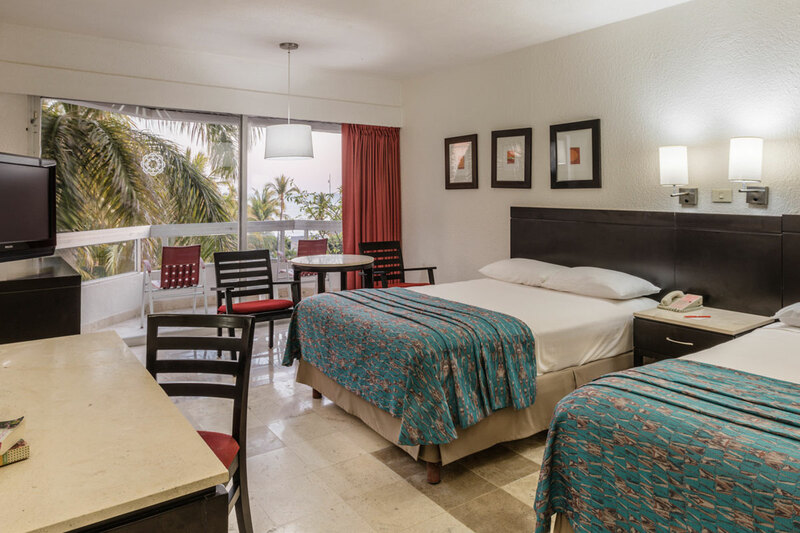 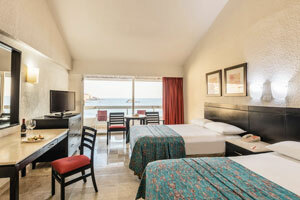 The superior ocean view rooms of Krystal Ixtapa Hotel have been especially created to offer a refuge of exclusive rest for all those guests that was calmness and relaxation next to the ocean at an adjusted price with attentions and services careful to detail.